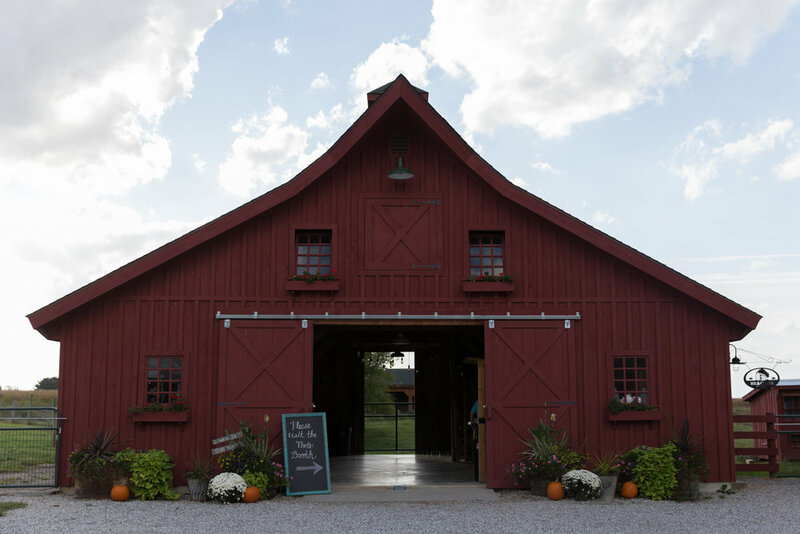 This barn wedding venue is perfection. 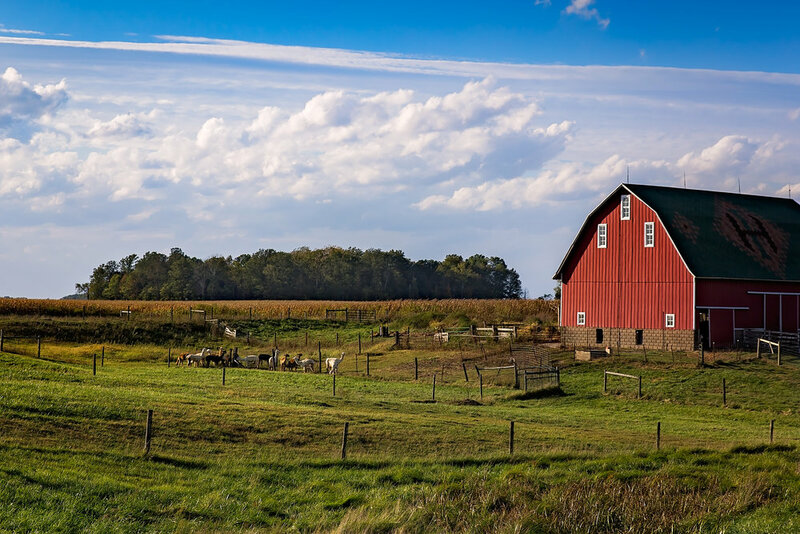 The barn is like something out of a fairy tale.We had so many wispy clouds and a big blue sky, you'd never know in just a few hours the skies would open up and pour down rain! Why on earth choose one cake when you can have 7 tiered cakes?! The colors for these wedding cakes were delicate vintage, and looked right at home at this barn wedding. I captured a great deal of the wedding day touches. 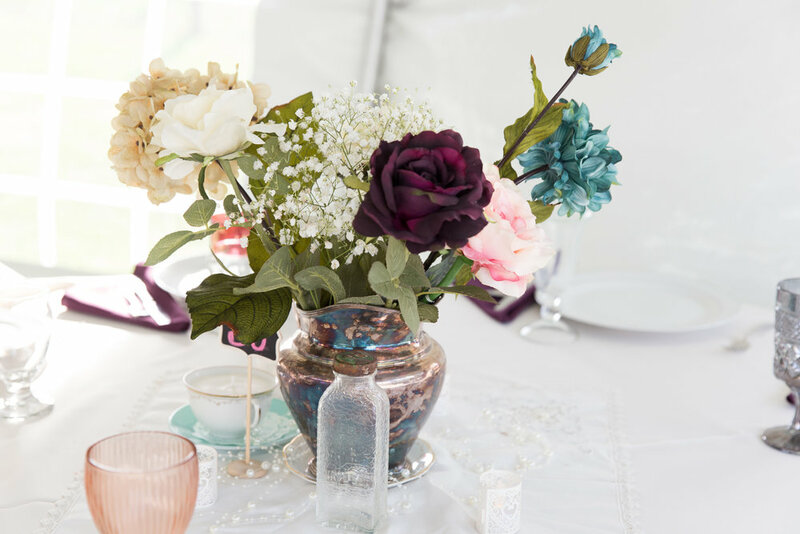 The deep colors of the centerpieces really stood out at the reception with so much white around them. They were great statement pieces. The ceremony for this lovely couple was held outside underneath at beautiful arbor woven with wood and vines and a spectacular flower arrangement at the top. The bride and groom were radiant with their love for one another. I love that we captured this moment as the bride and groom are about to kiss, surrounded by their wedding party and loved ones. We were able to capture the formal portraits just in time, and then the skies opened up and it stormed. Everything started going everywhere when the wind kicked up, but you'd never know the weather didn't cooperate fully, because everyone had the time of their lives. The bride's mermaid wedding dress was stunning. The details on this dress were delicately pretty. 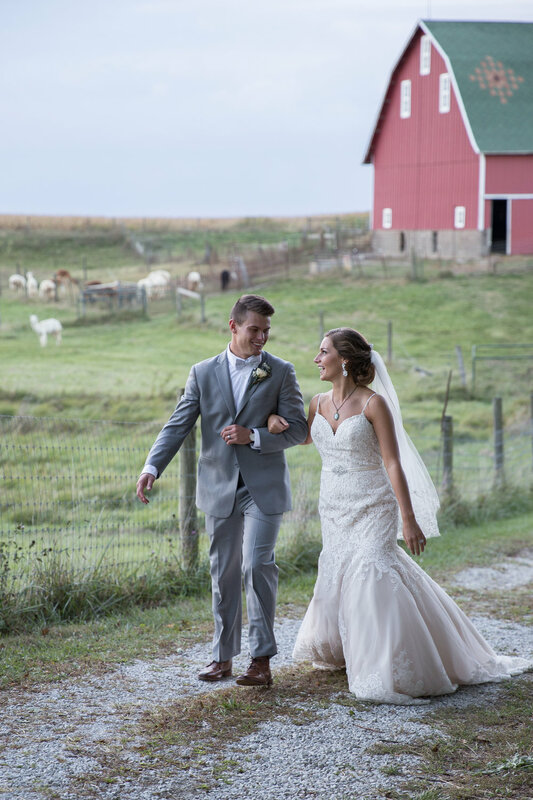 She was perfection, whether standing posed or walking down a country lane after her ceremony. The bride and groom were so happy and in love during their time together after the vows. These photographs were captured while photographing with Juli Feller Wedding Photography.